Churchyard memorial. Sculpture dated 1904 and signed by John H. M.
moulded plinth, moulded cornice, and cap with acanthus leaves at corners. raven and inscribed "DEUS PASCIT CORVOS". Sides with carved wreaths. of Walter Orlando Corbet (d.1910) and Roland James Corbet (1915). sculpture. 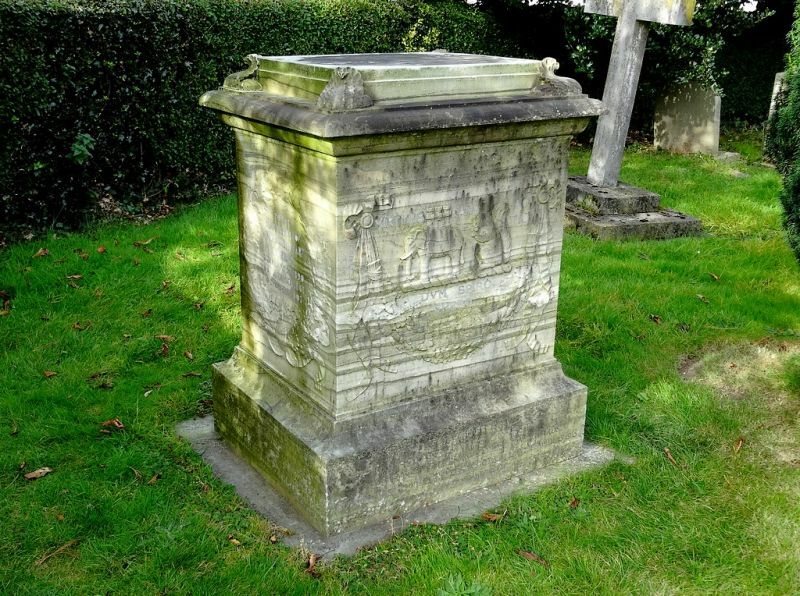 of metropolitan Post-Gilbert style in a country churchyard. Club (1976), p.190; S. Beatty, New Sculpture.